Home to the largest Marian Pilgrimage in Asia and the Pili Nut, creamy and spicy Laing and fiery hot local chili, Naga City is also an emerging culinary destination showcasing the freshest regional produce. And they say local artisan chocolate is the next big thing in CamSur. The culinary landscape is definitely evolving in the Queen City of Bicol, with homegrown traditional cuisine alongside modern interpretations for another colorful layer in the country's tapestry of vibrant and diverse flavors. 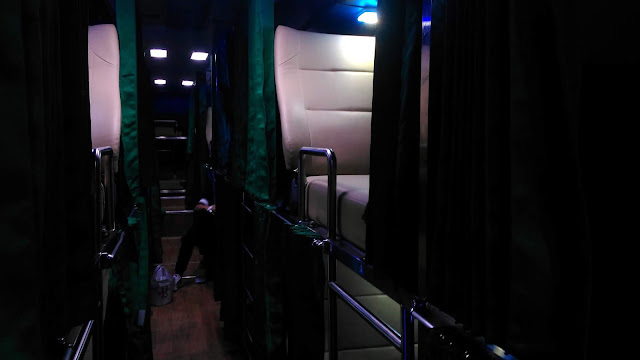 Typically a ten to twelve hour trip by bus, the Sleeper Bus by Bicol Isarog is a good option for the long drive down south. 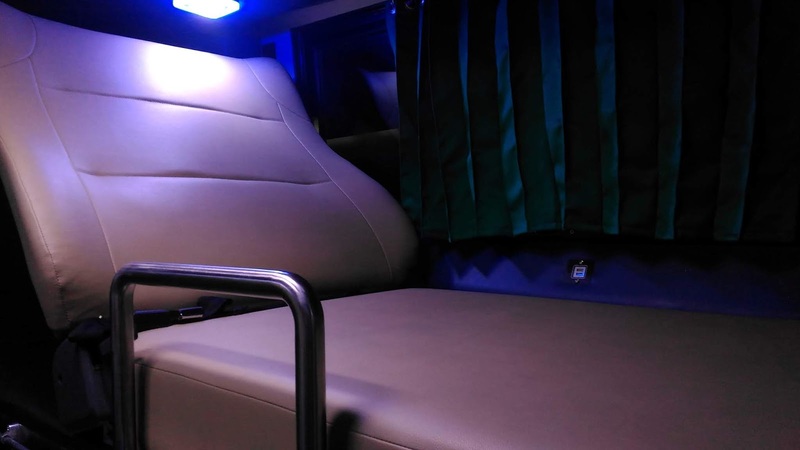 With it's double deck configuration, you get comfort and privacy. The Sleeper Bus also has an on-board comfort room for added convenience. Before the trip, we were jokingly warned about the never-ending playlist of Air Supply and Engelbert Humperdinck for the duration of the trip. They were right. But they did play an occasional track from The Eagles, Led Zeppelin, Queen, Guns N Roses, and Boston to balance things out. It's definitely a good idea to bring your own portable device with your own playlist. And you get free Wi-Fi internet access too. ...to our home away from home in Naga City. Downtown Naga's premier boutique Hotel, The Carmen is the ideal base for your adventures with its luxurious amenities and strategic location placing you right at the heart of the city's business, commercial and cultural attractions from downtown shops, restaurants, and tourist spots like Plaza Quince Martirez, Naga Metropolitan Cathedral, and San Francisco Church (for more on The Carmen Hotel, see my post on my other travel blog, The Carmen: Downtown Naga's Boutique Hotel). The distinctive exterior cladding, designed to capture the ebb and flow of the Naga River, adds a sleek and modern vibe to the hotel. Opened back in 2016, The Carmen Hotel remains the city's top-of-mind choice among visitors and travelers. During the celebrated religious festivals in Naga, guests at The Carmen have front-row seats to the month-long annual celebration of the Penafrancia Festival where the Traslacion makes its way along Penafrancia Avenue right in front of the hotel. The Fluvial Procession held at the Naga River can also be seen at the back of the hotel. A professionally operated full service hotel, The Carmen Hotel is the perfect venue for business meetings and events as well with its wide array of international standard amenities. Business or pleasure, The Carmen Hotel has it covered, just sit back and relax and enjoy your stay at Naga City. The panoramic floor-to-ceiling glass windows brings in natural light draping the modern, spacious, and minimalist interiors of the elegant lobby in an ethereal glow. You may be right at the heart of city, but The Carmen Hotel is your own personal and serene sanctuary, your home away from home. The Carmen Hotel offers 21 Superior, 18 Deluxe, and 6 Suites with all the amenities you need for a memorable experience. Choose from Superior Twin, Deluxe Twin, Deluxe King, and The Suite Room configurations to suit your requirement and budget. Each guest room is lavishly appointed for the modern traveler, from hot and cold showers, toiletries and branded bath and shower essentials, a mini-refrigerator, an electronic safe, an iron and ironing board, extra pillows, a hair dryer, comfortable slippers, coffee and tea-making facilities and fast internet access to stay connected with the rest of the world. And like they say, the best way to know the city is to sample the local flavors. That day, The Carmen's Baba Social Dining served the local favorite, Kinalas, at their popular Daily Breakfast Buffet. The hearty noodle dish with fork-tender beef topped with pork chicharon and local chili is how you start the day in Naga. Perfect. Kinalas is a local noodle dish served with a thick and flavorful broth simmered for hours with beef or pork. Slow cooked for hours, the tender meat is then scraped off the bones hence the name, topped with local chili and served with egg. At The Carmen, their version of Kinalas is topped with crunchy pork chicharon for even more layers of flavor. The richness of the beef and flavorful beef stock is perfectly tempered by the soothing heat of the chili for balanced and comforting flavors. The dish is so popular, it even has its own festival held every year during the anniversary of the city's chartership. Another must-try at Baba Social Dining is the local crispy dried fish dipped in vinegar and chili. Extra garlic fried rice? Absolutely. ...showcasing every type of dried fish from the bountiful coastlines of CamSur. Stall after stall with baskets heaped with mounds of dried fish are just some of the impressive sights at the Naga City People's Market. Don't forget to bring home a bag or two of dried fish from Naga, and relive the flavors of the region at home for breakfast. No visit to Naga City is complete without a few jars of the famous Pili Nuts (L). Salted or sugar-coated, you just can't go wrong with Naga's pili nuts. But the local food scene is slowly transforming, and these bottles of Cacao Wine and Banana-Santol Wine (R) are some of the interesting finds at Naga City People's Market. Cacao Wine? Why not. Local artisan chocolate, many claim, is the next big thing in CamSur. And you can expect to hear more on this from the city's emerging entrepreneurs. In the meantime, treat yourself to some of Naga City's hometown favorites like the Toasted Siopao from Naga Garden Restaurant. Unlike the more familiar fried siopao, Naga City's Toasted Siopao uses a thicker, denser, heavier and chewier dough, almost like the local monay bread with a savory pork stuffing. Quite a filling snack, a pair of these with an ice-cold bottle of Coca-Cola is a satisfying meal in itself. Then, there's the equally famous Kinalas by Aling Cely's Kinalasan. Here's a tip. Visit early in the morning for a guaranteed seat and a bowl of comforting goodness. Paired with deep-fried Baruya or banana fritters for contrasting sweetness and textures, it's a satisfying combo. The doors at Aling Cely's Kinalasan close the minute the huge vats are empty, which is usually mid-afternoon. So come early. The Carmen is located at Penafrancia Avenue, Naga City, 4400 Camarines Sur or call (054) 472-5888 for reservations and inquiries. You can also visit their website at http://www.thecarmenhotel.com.ph/. Dude for Food is now on Facebook and Instagram, check out the FB Page and IG Feed for regular updates on good eats. Better yet, click "Like" and "Follow" abd enjoy the ride...just look for the FB and IG widgets on the right sidebar.